Piper Rayne’s prequels are awesome because they are always on point. They aren’t too long or too short, they never confuse me or leave me hanging but they always have me laughing out loud. I loved this one because it was a great start to a hopefully great new series. I can't wait to dive into Manic Monday. 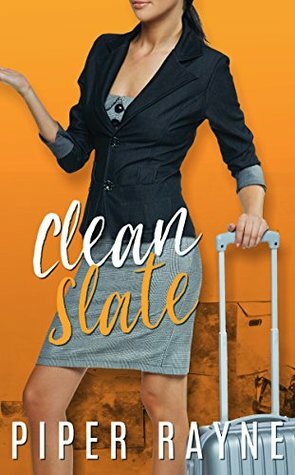 Clean Slate was a perfect way to get to know the female main character of the coming book and to learn a bit about her background. Although we already kind of know her from the Dirty Truth Series as she's Jagger's Assistant. Having said that, I absolutely loved to have him in this little prequel because I really miss the guys from the previous books but I'm excited for everything new that's to come. I was also surprised about my liking of her ex although there’s a reason he’s just that. I am curious if we'll see more of him in Manic Monday and if my feelings for him will change. This is definitely worth a try to dip your toe into the new series and a nice treat for Jagger fans!! Veronica leaves for Chicago to be a helping hand to her sick mum. Though first she has to tell her not-so-easy-to-handle boss that he has to look for a new assistant. Funny that this ranks higher in worried conversations than telling her ex that she's moving away with their daughter.